Dad will leave the dinner table full and satisfied after sinking his teeth into this Butterflied Pork Loin Recipe. Be sure to keep extra napkins within arms reach. Preheat your smoker to 250°F. Mix brown sugar and your BBQ rub in a medium sized mixing bowl. Lay butterflied pork loin on cutting board and season with brown sugar and rub mixture. Place on grill grates and smoke for 3 hours or until you reach an internal temperature of 145°F. Serve warm and plate with potatoes, beans, corn bread, or other lip-smacking side dishes. Make sure to slather with your favorite BBQ sauce. We encourage you to get creative with your recipes! Feel free to use a homemade BBQ sauce or rub. 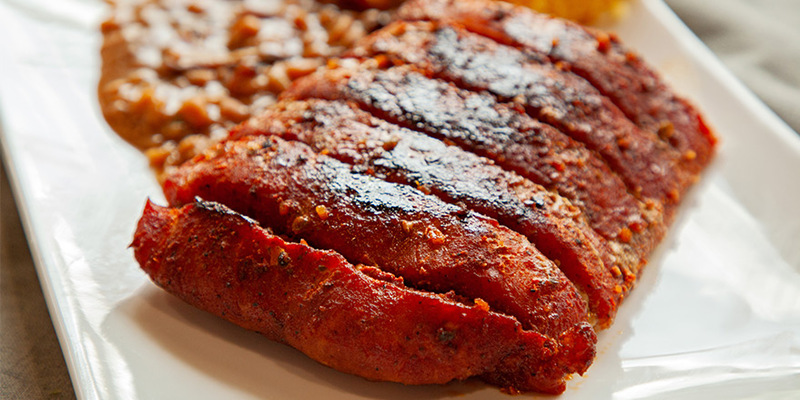 Tell us how your Butterflied Pork Loin turned out in the comment section below!